CAN I SAVE FOR A DOWN PAYMENT? While there are a few low or no down payment mortgage options, most traditional loans require at least a 20% down payment. If you have a limited amount of funds at the moment, your emergency savings, paying off major debt, and retirement fund should be your priority. CAN I AFFORD A MORTGAGE PAYMENT? Ideally, your mortgage payment shouldn’t be more than 30% of your take home pay. Spend a few months taking the amount of your “house payment” and putting it into a savings account. This money is not to be used for anything else, because in “real life” this money would no longer be accessible to you. If you find yourself struggling to make ends meet elsewhere, either lower the price of the home or just continue to save. Pull your credit report and take account of all the debt you currently owe. The last thing you want to do is dig yourself deeper into debt because of your home. Come up with a plan to get rid of your debt as quickly as possible so you are able to buy a home. A home is a larger commitment than an apartment or rental home. While for rentals you can simply walk away after your lease is up, houses are a bit more intricate. You have to take the time to sell the home, prepare open houses, and work with agents. Even then, there’s no guarantee your home will get sold right away. 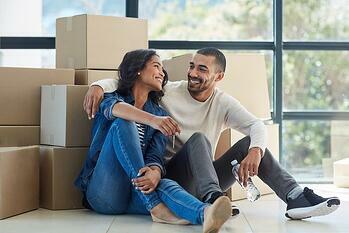 If you see yourself moving away for a new job or expanding your family, maybe wait until things are more settled before buying a home. When you are ready to be a homeowner, Cyprus is here to help. We’re not just your mortgage lender; we’re your mortgage partner. Our trained, professional home loan advisors will be there to guide you every step of the way. If you are interested in meeting with one of our advisors, contact (801) 260-7600 ext. 5340 or click HERE.